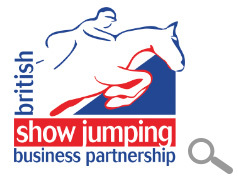 Datatag, the market leader in equipment security and registration for business and domestic use, has entered into a Business Partnership Agreement with British Showjumping, the equestrian sport’s governing body. British showjumpers have been in the public spotlight recently as the showjumping team won ‘gold’ in Greenwich at the recent London Olympics. British Showjumping will now promote the new Datatag equestrian security systems to their members and to the public at selected equestrian events. 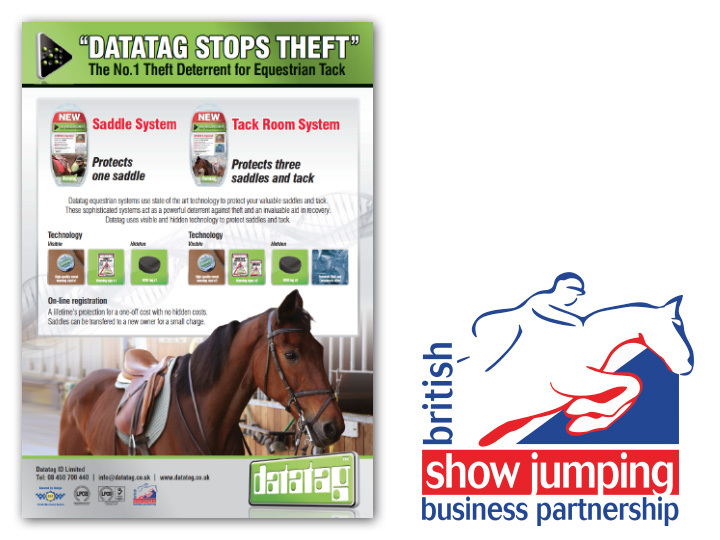 Datatag has been active in the equestrian market for some time but a recent increase in tack theft across the UK has prompted a new initiative, after requests from the police and other official bodies. Datatag employ a number of sophisticated security marking devices to protect equipment including Radio Frequency Identity (RFID) tags that can be read with special scanners, forensic DNA and Datadots®. Police in the UK are already equipped with hundreds of these special scanners that allow them to scan suspect items of equipment to see if they are tagged. If a Datatag tag is found it is a simple matter for the police to contact Datatag and establish the rightful owner. The recovery rate for stolen Datatag marked equipment is up to 6 times that for unmarked equipment. Datatag equestrian systems are designed to act as a powerful deterrent against theft and as an invaluable aid in recovery, in the unlikely event of theft. Two systems are available. The first is designed to protect one saddle with an RFID tag and a metal stud, an A5 warning sticker is also included in the pack. The RFID tag provides positive identification and the brass stud and A5 warning sticker (for tack room or horse box) act as deterrents against theft. The second, more comprehensive, system is designed to protect 3 saddles and other items of tack. The ‘tack room’ system contains a rigid A4 warning sign for the tack room door, an A5 warning sticker, 3 RFID tags, 3 metal warning studs and a phial of liquid forensic DNA containing 1,000 Datadots® that can be used to mark other items of tack including bridles, head collars, rugs and stirrups. Datatag equestrian security systems are simple to install at home without any special tools. The Datatag single saddle system has a recommended retail price of £34.99 (including VAT) and the tack room system has a RRP of £99.00 (including VAT).